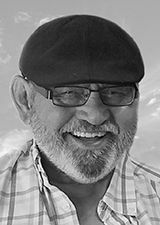 RACINE – Eduardo “Eddie” Gonzalez, Jr., age 76; beloved husband of Maria (nee: Flores) Gonzalez and dear father of Leticia (Geffory) Crowell, Sandra Hassna, Deborah (Pedro) Martinez and the late Eduardo “Eddie” Gonzalez III; passed away peacefully at home, surrounded with the love of his family, on Thursday, February 7, 2019. A Mass of Christian Burial will be celebrated on Tuesday, February 12, 2019 at 11:30 am in St. Patrick Catholic Church, 1100 Erie Street, with Rev. Antony Primal Thomas officiating. A luncheon will follow. Visitation will be in the funeral home on Monday from 4:00–7:00 pm (Rosary recited at 6:45 pm) and in the church on Tuesday from 10:30-11:30 am. Private interment will take place in Holy Cross Cemetery, Hwy 32. Please see Sunday’s newspaper for the complete obituary. Age 68 years. Born to eternal life Feb. 7, 2019. Beloved son of Elizabeth and the late Cyril Havel. Further survived by other relatives, his Franciscan community, fellow firefighters, and many friends. Brother Havel was a Franciscan friar, a former Chief of the Sturtevant Fire Dept., and a retired Deputy Chief of the Town of Burlington Fire Department. In addition to Brother Havel’s religious life, his other areas of expertise included building construction, facilities management, construction company safety programs, and incident command. Visitation Sunday, February 10 from 5:00 PM to 7:00 PM and Monday February 11 from 9:30 AM until the Mass of Christian Burial at 10:30 AM all at St. Thomas Aquinas Catholic Church, 305 1st Street, Waterford, Wisconsin. Private interment, St. Mary’s Cemetery in Burlington. RACINE—William L. Pier, age 91, passed away Thursday, February 07, 2019 at his residence. A Mass of Christian Burial will be held Tuesday, February 12, 2019, 11:00 am at St. Joseph Catholic Church, 1533 Erie St, with Rev. Steve Varghese officiating. Interment with full military honors will follow at Holy Cross Cemetery, Hwy 32. Relatives and friends may meet with the family Monday at the funeral home from 5:00 pm until 7:00 pm. and Tuesday at the church 10:00 a.m. until 10:45 a.m. Memorials to St. Joseph Catholic Church have been suggested. Please see Sunday’s Journal Times for complete obituary. RACINE — David Carl Bidstrup (age 87) was taken into God’s arms on Monday, February 4, 2019 from Ascension All Saints Hospital. A celebration of David’s life will be held at 2:00 pm on Saturday, February 9 at the Lutheran Church of the Resurrection, 322 Ohio St., Racine, WI 53405. Visitation will be held from Noon until 2:00 p.m. preceding the funeral. In lieu of flowers, memorials may be given to the Lutheran Church of the Resurrection, for facility maintenance. Racine, Feb. 6 at her residence, Draeger-Langendorf Funeral Home and Crematory, Mount Pleasant. Racine, at her residence, Draeger-Langendorf Funeral Home and Crematory, Mount Pleasant. Racine, at his residence, Draeger-Langendorf Funeral Home and Crematory, Mount Pleasant. Pleasant Prairie, Feb. 7, Hospice Alliance Hospice House, Pleasant Prairie, Jelacic Funeral Home, Milwaukee. Formerly of Racine, Feb. 3 in Milwaukee, Draeger-Langendorf Funeral Home and Crematory, Mount Pleasant. Mount Pleasant, Feb. 4, Ascension All Saints Hospital, Draeger-Langendorf Funeral Home and Crematory, Mount Pleasant. Racine, Feb. 7 at his residence, Maresh-Meredith and Acklam Funeral Home, Racine. Mount Pleasant, Feb. 6 at her residence, Draeger-Langendorf Funeral Home and Crematory, Mount Pleasant. Racine, Jan. 31, Draeger-Langendorf Funeral Home and Crematory, Mount Pleasant. RACINE — Mr. James H. Person, Sr., 79, passed away on Monday, February 4, 2019. Family and friends are invited to meet in the Draeger-Langendorf Funeral Home on Saturday, February 9, 2019 for a visitation only from 12-2 p.m.
His Homegoing celebration will take place next Saturday in Lawrenceville, GA. with Gregory B. Levett & Sons Funeral Home (914 Scenic Hwy. ph. 770-338-5558) handling the arrangements. Please see our funeral home’s website next week for more information. RACINE — Peter F. Meinert, age 76, passed away Thursday, January 31, 2019 at Ascension All Saints Medical Center and he went to be with his Lord and Savior. Funeral services will be held Saturday, February 9, 2019, 11:00 a.m. at Trinity Lutheran Church, 2065 Geneva Street. Interment with Full Military Honors will follow at West Lawn Memorial Park. Relatives and friends may meet with the family Saturday at the church from 9:30 am until time of service at 11:00 a.m. In lieu of flowers, memorials to Trinity Lutheran Church, Racine Lutheran High School or the Wisconsin Humane Society have been suggested. RACINE — Dolores Mae Jorgenson, age 88, passed away Tuesday, February 5, 2019, at home with her family by her side. Funeral services will be held at Racine Assembly of God, 1325 Airline Rd, Saturday, February 9, 2019, 11:00 a.m. with Reverend Ed Walker officiating. Interment will be held at West Lawn Memorial Park. Relatives and friends may meet at the church 10:00 a.m. until time of service. Memorials to the Alzheimer’s Assn. have been suggested. BURLINGTON — Wayne C. Anders passed away January 20, 2019 at Aurora Medical Center in Burlington. He was 78 years old and a resident of Burlington. Wayne was born November 15, 1940 in Racine, the firstborn child to the late Clarence and Elizabeth (Zinda) Anders. Wayne was educated in the schools of Racine; and served in the National Guard. He later was employed as an auto parts technician at Don Hudson; and later for Ford dealerships in Racine. After his move to Burlington, Wayne worked for Nestle’s until his retirement in 2002. Wayne was a huge Nascar Fan; an avid car collector and attended many car shows and car swaps. Wayne loved his ‘50s music. He was preceded in death by his parents and his brother Dean in infancy. Wayne is survived by a brother, Gary (Lynne) Anders; his sister, Sharon Sipher; as well as many nieces, nephews, cousins and many friends. The family will have a private memorial service for Wayne at a later time. Due to bad weather, Wayne was buried under the care of Casey Family Options at Burlington Cemetery. The family would like to thank Wayne’s doctors, nurses and ICU staff and Aurora at Home (Hospice) at Aurora Medical Center/Hospital for his tender care. And thank you, to Casey Family Options, for their help in Wayne’s final resting options due to our weather.